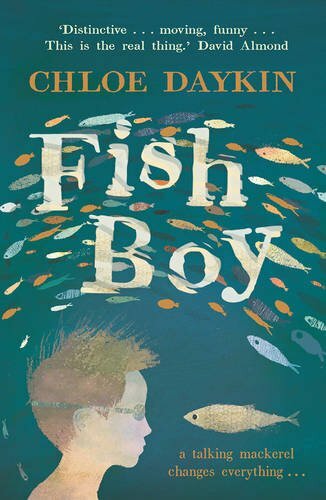 This is a deeply imaginative, beautifully written story about a boy who uses swimming, and a seemingly magical ability to communicate with fish, as a way of coping with the difficulties in his life. Billy feels different from the other children. His greatest love is Nature, and at home he immerses himself in watching David Attenborough DVDs. People call him Fish Boy, as he swims in the sea nearly every day. He’s being bullied at school and feels unable to deal with the situation – until a new boy Patrick arrives – with ‘fingers of steel’ - who sees off leading tormentor Jamie Watts. Billy’s friendship with Patrick deepens throughout the story, and he learns to trust him with all his secrets. The characters are drawn with great humour and sensitivity, especially Billy’s parents. His father is a sculptor, currently working long hours in a shop to keep the family afloat. His mother used to be fun-loving and energetic, but for weeks has scarcely been able to get out of bed. Billy is scared about his mother’s mystery illness, and tries to run away from all the uncertainty and stress, by swimming in and amongst a shoal of mackerel. Patrick’s constancy is tested as he watches out for Billy and tries to keep him safe. The writing is spare and lyrical; not a word is wasted. Reading the descriptions of swimming in the sea, the reader feels swept up by the currents, and there’s an interesting change in tone from wonder to danger as the full power of the ocean is released in the storm. Fish Boy is an unforgettable, other-worldly novel which captures the feelings of an unsettled and lonely boy. It is ultimately uplifting and hopeful, celebrating the power of genuine, deep friendship.